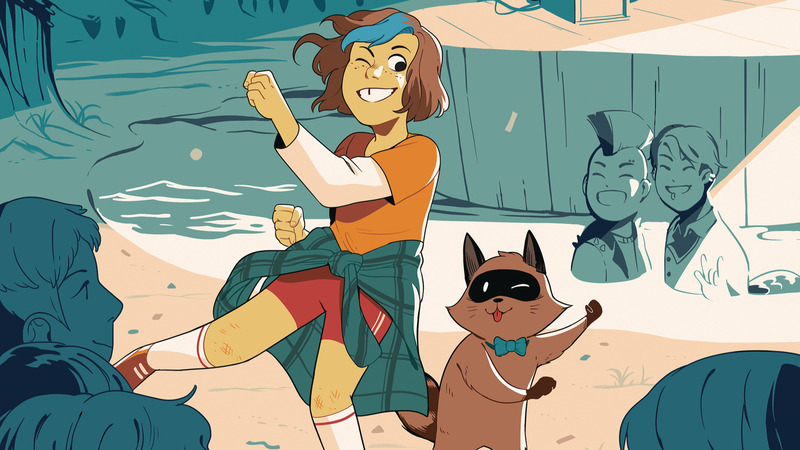 Here’s a look at what non-Big Two comics are coming out for April 2019. 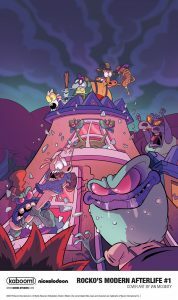 “Rocko’s Modern Afterlife” is a comic miniseries (spun off from the 90s Nickelodeon classic “Rocko’s Modern Life”) coming out in April 2019. It’s presumably a take-off on the zombie apocalypse craze that’s been everywhere this decade. “Rocko” also has made a comeback in comics (and a proposed TV movie) in recent years, showing how he deals with life in the 21st century. Archie’s odd-sounding “the Blossom twins are competing to become the antichrist” comic solicitation for this month says Cheryl and Jason try to corrupt Betty. Also launching this month is their crossover between “Jughead: The Hunger” (Jughead as a werewolf) and “Vampironica” (Veronica as a vampire). On the non-horror side of things, Archie’s publishing a “Little Archie” picture book, written and drawn by Art Baltazar and Franco of “Tiny Titans” fame. Donald’s cousin Fethry Duck appears in IDW’s “Uncle Scrooge” and current “DuckTales” comics. For the unfamiliar, he’s an eccentric, flaky cousin who’s constantly pursuing new hobbies or interests. Until recently, he mostly only appeared in European Duck comics.